Stability and partnership despite disgruntlement and crisis mark German-Israeli relations – at least at a governmental level. At a societal level, things look different: While Germany’s image among the Israeli population has consistently improved over the years, and Berlin in particular enjoys great popularity, at least every second German views Israel negatively, even though many young Germans continue to travel to the country. Criticism of Israel is repeatedly intermingled with anti-Semitism in German public discourse, and receives too little attention from civil society and the government. In spite of the joy about the close network of relationships between the two countries, this development represents a danger both to German-Israeli relations and to the values upon which the democracy of the Federal Republic is based. In the past, Berlin was known as “Athens-on-the-Spree”. But times change: Now you hear “Spree-Aviv”. Not because the weather in the German capital has improved, but because the number of Israelis in the city has shot up since the start of the new millennium. For most young Israelis, the reasons for a fresh start in Berlin are diverse: cheaper living and study costs, the desire to trace family history in Europe, a much-longed-for break from the social and political upheaval in Israel or simple curiosity. Political promises following the protests of 2011 against the growing social divide and disproportionately increasing living costs remain largely unfulfilled. 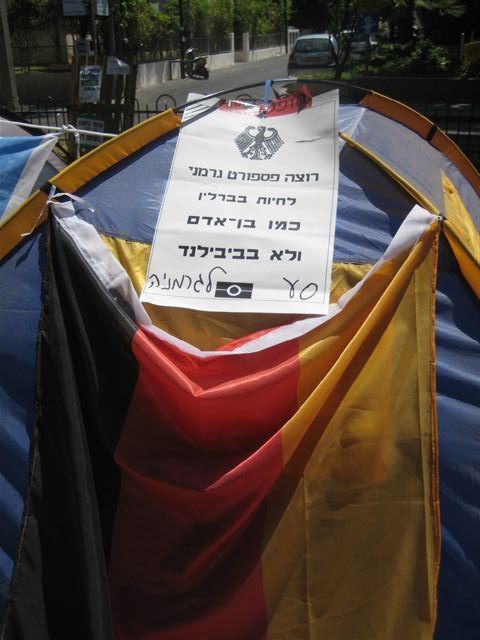 Growing emigration – especially to Germany – is a controversial topic in Israel itself. The public debate reaches its peak in 2014 with the so-called “Milky Scandal” in which the price of a chocolate dessert becomes symbolic of a cheaper life in Berlin. In the German capital, a diverse Israeli urban scene is developing: More Israeli cafés and restaurants, galleries and cultural projects spring up every year; there is a Hebrew library and a German-Israeli radio station called “Kol Berlin”. In parallel with this increased interest in Berlin, young Germans are becoming more and more curious about Israel. They come to study, perform voluntary service, attend language courses, complete internships, get a job with one of the many start-ups, or work for a political organization – many of which are critical towards Israel. The thing that Israelis in Germany and Germans in Israel have in common: For them, their chosen home is a land like no other. Yair Lapid, (born 1963, founder and Chairperson of the liberal political party ”There is a Future” and son of Holocaust survivors), on his Facebook page, October 2, 2013.